Home » Artist » Master Rapper » Music » Musician » Pinoy brain » Who is the master rapper in the philippines? » Who is the master rapper in the philippines? Who is the master rapper in the philippines? A Filipino rapper, entrepreneur, songwriter, producer, actor, director, and photographer. Born in Mandaluyong City, he was the first Filipino rapper in the Philippines to cross over into the mainstream. He was credited for having pioneered the merging of rap with Pinoy rock, becoming a significant influence to artists in that genre as well. 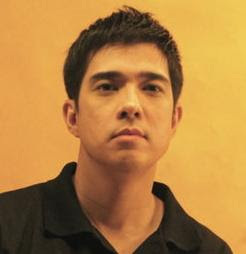 He was also a television host on MTV Asia and Channel V Philippines and on noontime variety television show Eat Bulaga! Magalona died seven months after being diagnosed with acute myelogenous leukemia.Magalona was later awarded a posthumous Presidential Medal of Merit. The award's citation noted that it had been given "for his musical and artistic brilliance, his deep faith in the Filipino and his sense of national pride that continue to inspire us.